Tie Dye Summer. 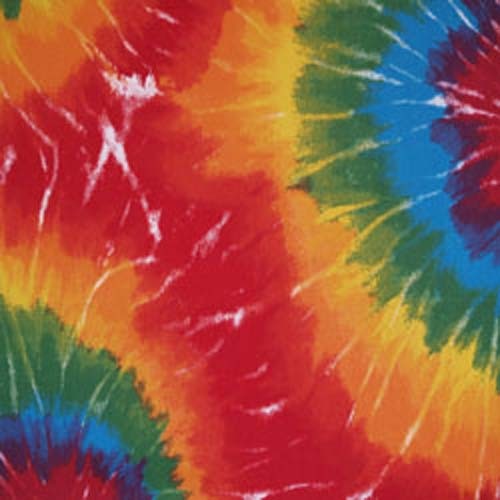 Bright red, orange, green, yellow, blue, purple and white tie dye print fabric. Suitable for crafting, drapery, decorative pillow covers, headboards or light upholstery.